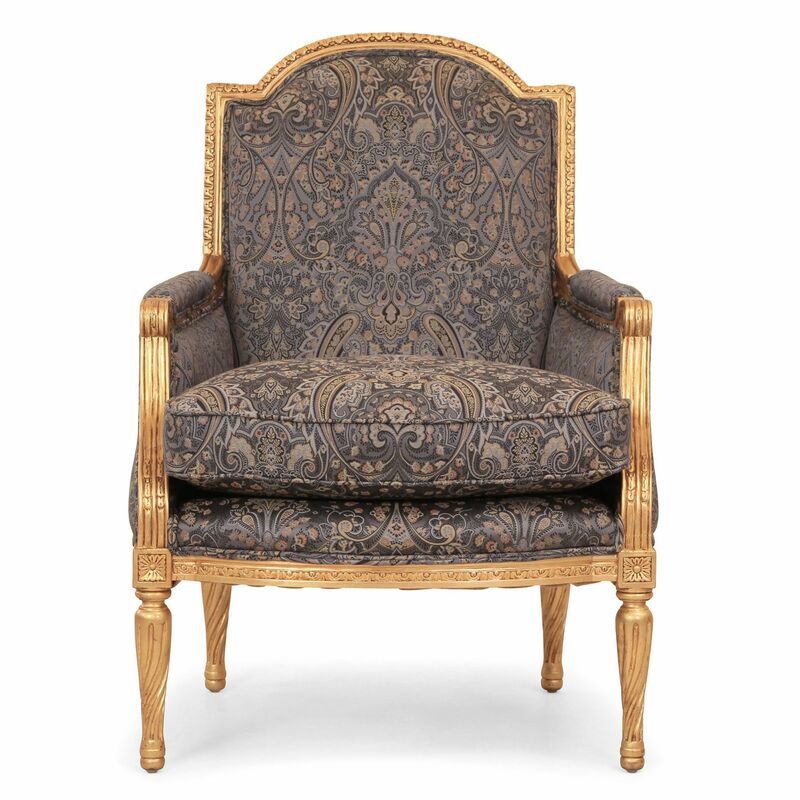 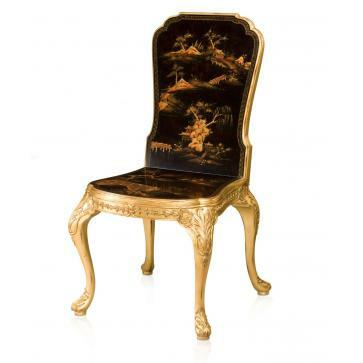 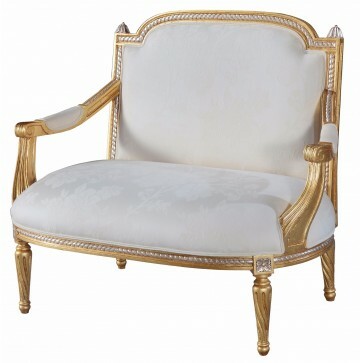 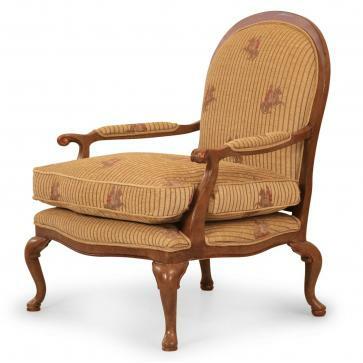 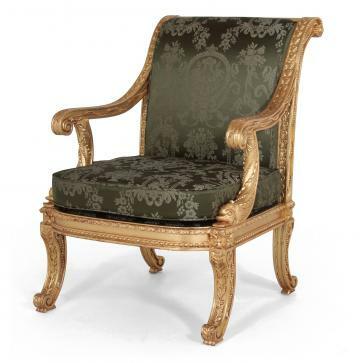 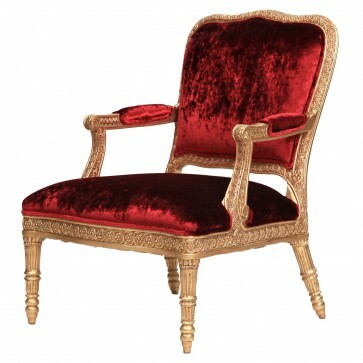 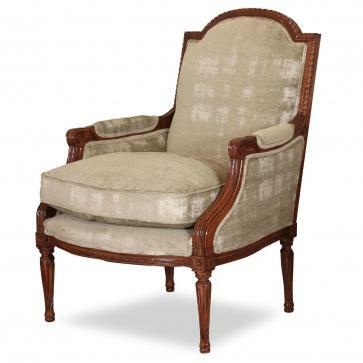 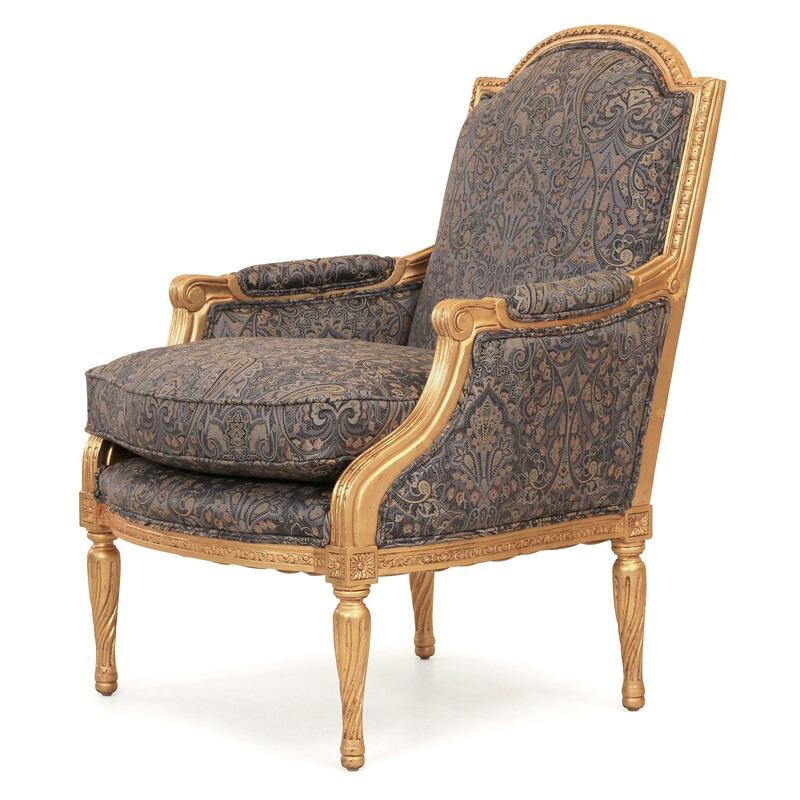 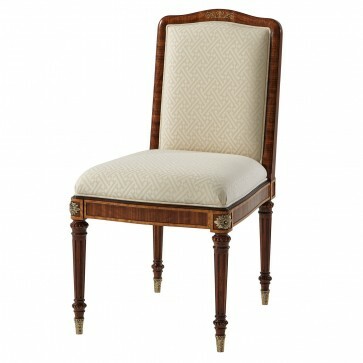 Our exclusive Alexander chair has been carefully copied from an early 18th Century design with bowed front and sides. 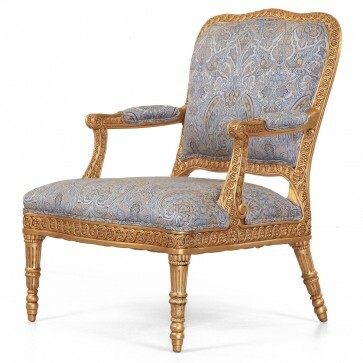 Our exclusive Alexander chair has been carefully copied from an early 18th Century design with bowed front and sides. 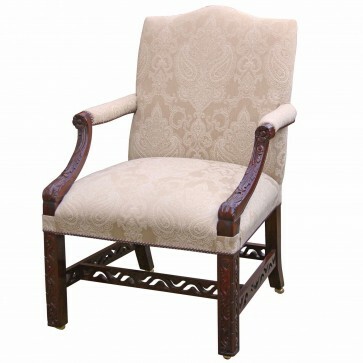 Hand carved frame with barley twist legs, oil gilded in dutch leaf, toned to a distressed finished. 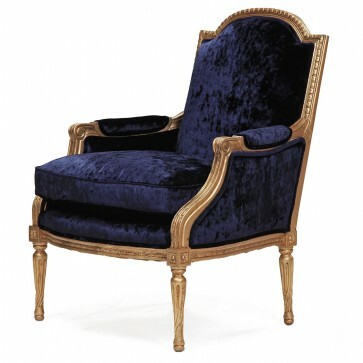 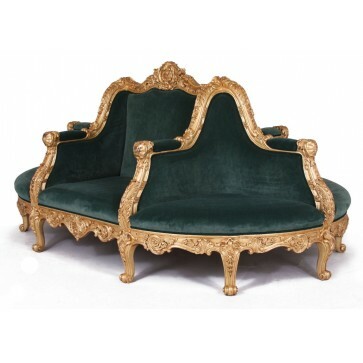 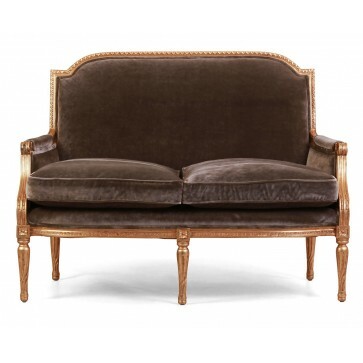 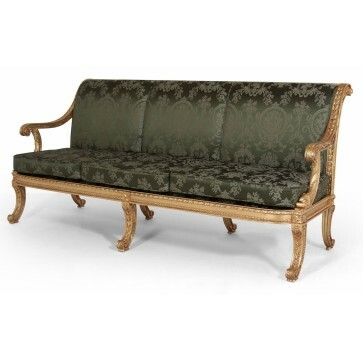 Upholstered by British craftsmen with elastic webbed seat and back, with duck feather filled seat cushion. 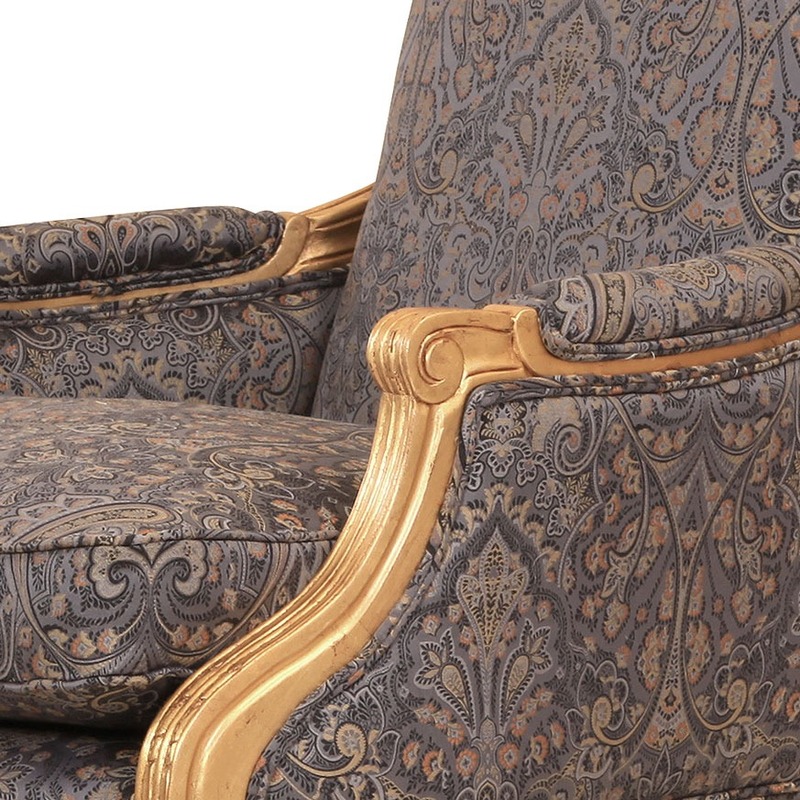 In Gainsborough Makins Paisley Anthracite (RRP £274 per metre) - a 100% cotton with a stunning paisley design featuring intricate detail and a variety of pattern, assembled in a damask inspired layout.